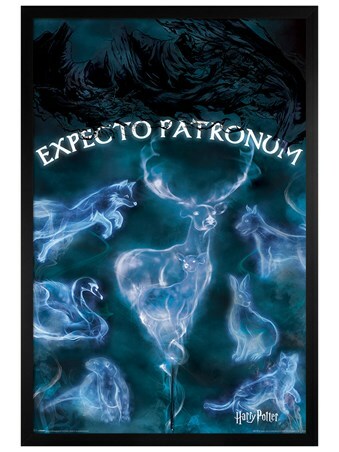 Conjure your happiest memory and get ready to unleash a burst of positive force as you enchant the phrase expecto patronum! 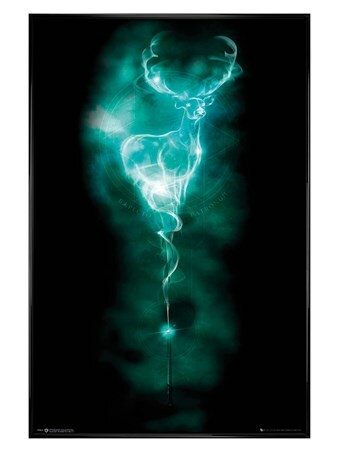 The patronus is a form of advance magic and it even gives some adult wizards a run for their money! 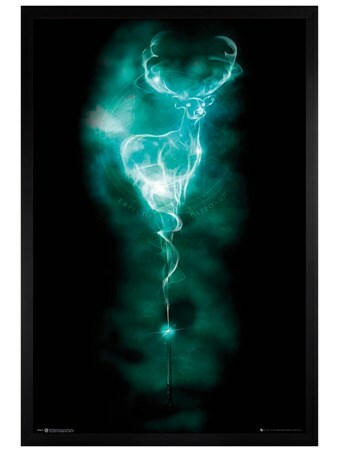 This simplistic posters sees Harry's wand at the bottom as a swirl of green coloured vapour ascends into the shape of a stag. 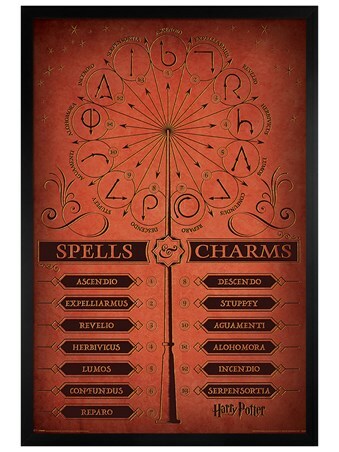 This defensive charm exudes hope, happiness and the desire to survive, all things that the evil Dementor feeds on, hang this piece on your wall and feel safe in the knowledge that the wizarding world is watching over you. Complete with a 61cm x 91.5cm gloss black plastic frame, fronted with transparent Perspex and ready to hang in your home. 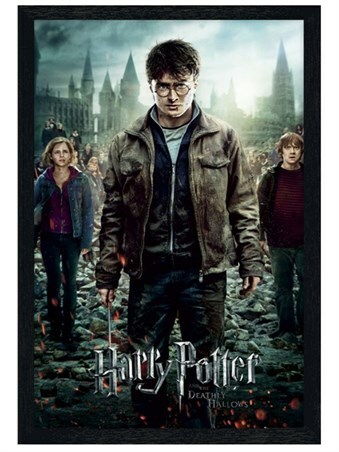 High quality, framed Gloss Black Framed Patronus Stag, Harry Potter framed poster with a bespoke frame by our custom framing service.